I headed up to the Christmas market at Leeds Castle last week with my family. It was so lovely, a live band playing festive music. Plenty of stalls selling some handmade goodies, fair ground rides and of course an abundance of food and drink on offer, the mulled wine was calling to me! 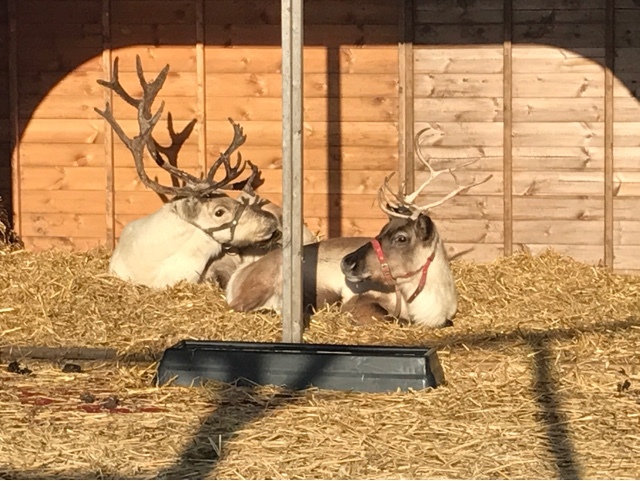 There was also a Santa's grotto, something we opted out of this year and the thing my youngest was most excited about, the reindeer. They were laying there so peacefully. Reindeer seem so regal to me. There's nothing better than a Christmas market to the Jingle Bells gangling... especially if you need the reindeer's too. Aren't they gorgeous, I hope they are resting up ahead of their big night's work!